Ben Shahn. His codified signature neatly scribbled under any of his images conjures up a peerless world of visual and emotional realism. Born in Kovno, Lithuania in 1898, Ben Shahn and his family immigrated to the United States in 1906. Like many artists, he later used his childhood experiences in both Lithuania and Brooklyn to create works of fine art. As a young boy, Shahn delighted in reading the Old Testament. He would spend hours visually interpreting biblical scenes and Hebrew typefaces, all in a style distinctly his own. Shahn’s thirst for knowledge was partially quenched by his uncle, a bookbinder who brought him books from his shop, while his parents—his mother, a potter, and his father, a woodcarver—no doubt instilled in him an early affinity for creating with his hands. His teenage years were spent as a lithographer’s apprentice by day and a high-school student by night. During the 1920s, Shahn studied at New York University, the City College of New York, and the National Academy of Design. His fascination with biology earned him two summer semesters at Woods Hole in Massachusetts. Realizing the need to explore the world he had read so much about, Shahn, in 1925, began two years of extensive traveling throughout Europe and North Africa. These trips yielded many sketches, paving the way for his first exhibition at New York’s Downtown Gallery in 1930. In 1932 Shahn produced a series of 23 highly compassionate and controversial gouaches dealing with the celebrated Sacco & Vanzetti murder trial, proving his deftness in portraying sociopolitical events as well as scenic images. The inconclusive evidence revealed in the trial and reflected in the sentence had aroused international outcry. Shahn’s work mirrored this protest. He joined the ranks of artists and writers who believed that both men were executed, not because of their guilt, but because of their ethnic origin and unpopular political affiliations. Shahn’s paintings are harsh and twisted linear studies, powerful visual editorials protesting the tragedy of a social injustice. Despite his strong political views, Shahn collaborated on and was commissioned to produce several murals and frescoes for various public and federal buildings. In 1933, Mexican artist Diego Rivera, impressed by Shahn’s work, asked for his assistance in creating Man at the Crossroads. This ill-fated fresco in New York’s RCA Building was later destroyed by an act of political censorship. Shahn’s other egg-tempera murals, produced in the Renaissance method of painting over original cartoons or sketches, grace post offices in New York City and the Health, Education, and Welfare Building in Washington, DC. Particularly noteworthy are the 13 murals that cover the walls of the Bronx Central Annex Post Office. For two years, beginning in 1938, Shahn and his wife, Bernarda Bryson Shahn, worked to create the large mural panels in the building’s main lobby. During this period, Shahn’s work became recognized, exhibited, and praised around the world. His first contact with graphic design, however, came in 1942 when he was invited to work in the Office of War Information. There began his long and fruitful association with fellow ADC Hall of Famer, William Golden. Their first joint venture was a war poster entitled We French Workers Warn You. It proved to be “round one” as Shahn referred to his initial skirmish with Golden on visual ideology and artistic convictions. The friction occurred after both discussed and evidently agreed on what the poster should convey. Shahn created a totally different version, incensing Golden. In an essay written for a retrospective volume on Bill Golden, Shahn fondly recalled the now legendary incident. I think Bill and I solidified our graphic futures more through that impasse than through any subsequent single experience. What I learned was a hardened determination to put the integrity of an image first and above all other considerations. One must be prepared to retire from any job whatever, rather than abandon the clear vision. This early clash of two visual titans strengthened rather than dissolved their personal and professional admiration for each other. The poster turned out to be a wonderfully expressive piece, showing a solemn group of French workers under arrest and stripped of their fervent national pride. To this day, the poster remains a much sought-after item in the Ben Shahn collection. During the war, Shahn created other posters for the Office of War Information, with subjects ranging from Nazi brutality to post-war employment for veterans. Only two posters, however, were widely distributed. His war work contrasts sharply with the World War I patriotism of Walter Whitehead and F. Strothmann. Shahn’s posters appealed to the conditions of human suffering on a more abstract visual and cerebral plane. His images, full of horrific expressions and disproportionate body language succeed without actually depicting war’s carnage. In 1947, Shahn renewed his working relationship with William Golden at CBS. From promotional brochures to print ads, the team of Golden and Shahn helped make CBS flourish. Their first post-war collaboration for the network was a promotional brochure publicizing an early television documentary on juvenile delinquency entitled The Eagle’s Brood. Shahn’s visual is a study in silent frustration. Like human time-bombs, two boys sit poignantly staring out, practically begging for help. One cannot help noticing the wrinkles in their clothing and their morose, almost bitter facial expressions. Ironically, one boy’s pose is reminiscent of Rodin’s Thinker. Shahn created an image that uniquely reflected the content of the documentary it advertised. Viewing this disturbing image today, over four decades later, one is still captivated by its underlying tension, which, like the problem, has not lessened. From 1947 until Golden’s untimely death in 1959, the “dynamic duo” produced many inspired graphics for CBS. One of the most memorable is The Empty Studio. Originally illustrated for a network radio advertising sales pamphlet in 1948, Shahn, through his visual acuity, brilliantly captured the starkness of a vacant radio studio. The cold maze of metal folding chairs and music stands, numerous microphones, and a lone cello resting gingerly between two chairs establish the mood voiced in the brochure copy. The empty studio … No voice is heard now. The music is still. The studio audience has gone home. But the work of the broadcast has just begun … Between broadcasts, people everywhere are buying the things this program has asked them to buy. Other fine examples of work Shahn did for CBS are print ads entitled Harvest (1955) and The Big Push (1957). The former looks at the incredible growth and popularity of television through the clutter of rooftop antennas. The latter sells the power of television advertising by a cacophonous array of overlapping supermarket shopping carts. These wonderfully eclectic ads elevated advertising, Bill Golden, and Ben Shahn to new heights of graphic expression. Fred W. Friendly, broadcast journalism pioneer and champion of a free press, along with his CBS colleague, Edward R. Murrow, commissioned Shahn to do a number of pieces for their prestigious news documentary unit. One such project was Ambassador Satchmo, a 1956 profile of the life and music of Louis Armstrong. Shahn’s sketches and paintings played a major role in the documentary. Friendly recalls Shahn as being the graphic conscience and the promise of broadcasting. He artistically chronicled television during its golden age. Ben helped make television more than just lights and wires in a box. 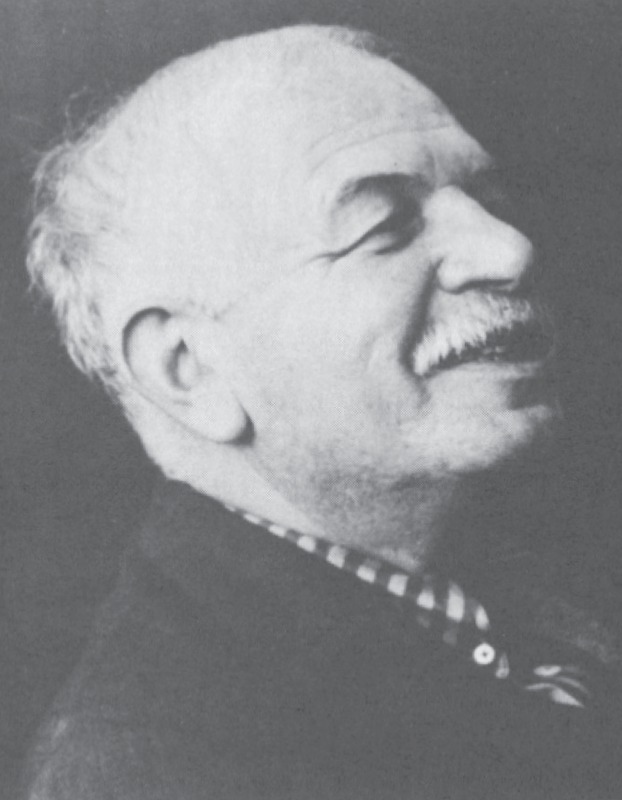 Throughout the late 1950s and early 1960s, Shahn renewed his early interest in the Bible. He created a vast and beautiful array of work based on both testaments, richly adorning them with his inimitable calligraphic impressions. They remain prized examples of his immense artistic legacy. Shahn died in March 1969 at the age of 71. He is considered to be one of the greatest masters of the twentieth century. Honors, books, and gallery retrospectives continue to rekindle interest in his work, almost 20 years after his death. Ben Shahn was an innovative and free graphic spirit. He conveyed the human condition in a style few could hope even to imitate. Shahn had only to touch his brush or pencil to paper to produce a masterpiece. His cryptic, yet graceful lines and shapes still leave all who view them in awe of his talent. Society cannot grow upon negatives. If man has lost his Jehovah, his Buddha, his Holy Family, he must have new, perhaps more scientifically tangible beliefs to which he may attach his affections … In any case, if we are to have values, a spiritual life and a culture, these things must find the imagery and interpretations through the arts.